Armenia is becoming an increasingly popular tourist attraction, with the small but charming nation boasting a rich history. Armenia, which was the first country to declare Christianity as its national religion, boasts some of Europe’s most stunning views, with the peak of Mount Ararat dominating the country’s skyline. The mountain is Armenia’s national symbol despite its peak lying just over the Turkish border and Ararat is considered holy by locals due to its mention in The Bible – it is where Noah’s Ark landed. Armenia is home to countless beautiful monasteries and they are often found in areas of truly outstanding natural beauty. Armenia’s capital, Yerevan, is one of the most rapidly developing cities in the whole of Europe as the nation continues to embrace tourism. Let’s have a look at the best places to visit in Armenia! 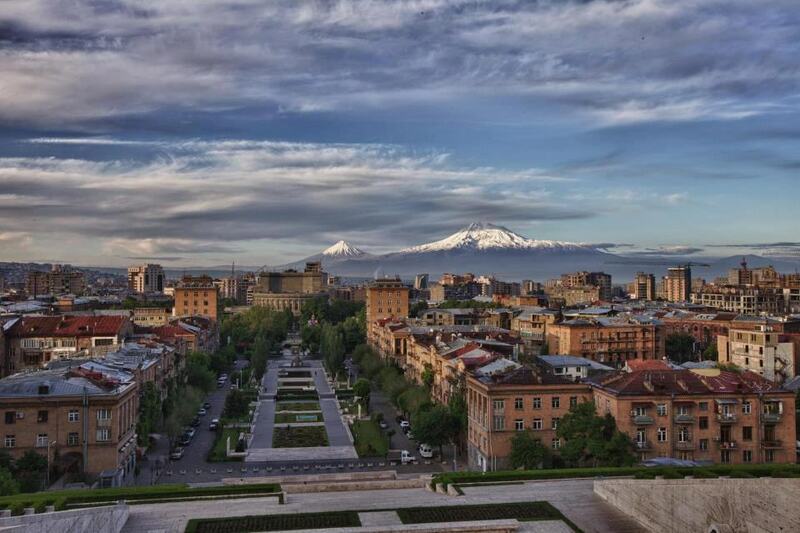 By far the largest city in Armenia, the capital Yerevan is a great place to start for anyone wishing to explore Armenia. The city is home to the grand Republic Square, while climbing the Cascade to see the city’s monument to Soviet victory in the Second World War is a must. Yerevan is a deeply historic city and visiting the Armenian Genocide Memorial is a must to learn more about the nation’s troubled past. Vernissage flea market is worth visiting too – it is open at the weekend – while a walk through the Hrazdan gorge is also highly recommended. Much of what Armenia has to offer can be explored during day trips from Yerevan, which is known as the City of Cafes. Yerevan is also home to Blue Mosque, which is the only mosque in the whole of the country, as well as Levon’s Amazing Underground World, which is one of Europe’s most unusual attractions.